Rich Bianco is Utopia’s Senior Vice President of Delivery. In this role, Mr. Bianco has responsibility for guiding Utopia’s extensive staff of technical professionals who implement all the company’s software and consulting solutions for data strategy, governance, migrations and data quality. He also directs Utopia’s project management organization. 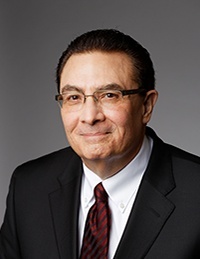 With over 30 years of global business and technology leadership roles, Mr. Bianco has led large sales and delivery teams in addition to setting up and managing international IT services organizations. Most recently he served as Vice President of Sales and Delivery for HP with a focus in their consumer product retail and manufacturing industries. Prior to that, he was Chief Information Officer at Safeway Stores, and before that he was a Partner at IBM Global Services where he managed the SAP practice connected to the retail, consumer products and manufacturing sectors. Mr. Bianco brings a deep understanding of customer relationships, P&L management and his combination of technical and business acumen are valuable resources to Utopia. Mr. Bianco holds a Bachelor’s degree in business administration from the University of Illinois and a Master’s degree in business administration from Stanford University’s Graduate School of Management. Rich enjoys golfing, snow skiing and fishing for Golden Dorado in Argentina, Marlin in Cabo and Musky in Manitoba. He is married and has two daughters in college.